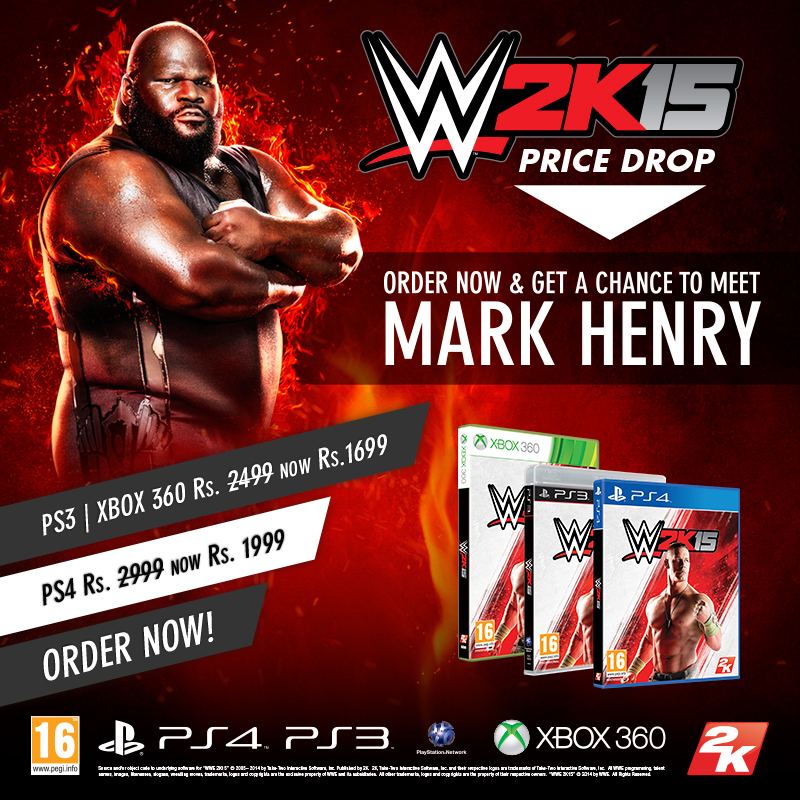 India, 28th July 2015: e-xpress Interactive Software Pvt Ltd, a leading game software company in India announced today that the fans who will buy WWE 2K15 game copy will win a chance to meet the famous WWE wrestler Mark Henry at Delhi, India on 28th August 2015. WWE 2K15 is an action-packed video game developed & published by 2K games basis on the WWE wrestling franchise which is widely known for its television series worldwide. The game is designed to elevate the wrestling experience much more interactive for all the next gen formats.?? Meet and Greet with Mark Henry is a limited period offer and valid till 26th August 2015. Lucky winners & further details will be announced on GamesTheShop’s social media channels. So Stay Tuned! Price offers on the game copy are limited as the offer also closes by 26th August 2015.